Aside from the inevitable minor dramas which, when living in England, go hand-in-hand with a wee dusting of snow… not much going on here at Chez Threads this past week. We may have finally, finally… like… f.i.n.a.l.l.y. said goodbye to January, but the ‘hangover’ of fatigue from what was the longest January since records began, is yet to dissipate. I’ve seen crocus pushing through the frosts and snow. So here are 7 little things, ranging from £3.99 – £30, which might just put a little skip in your step without having to break the bank. 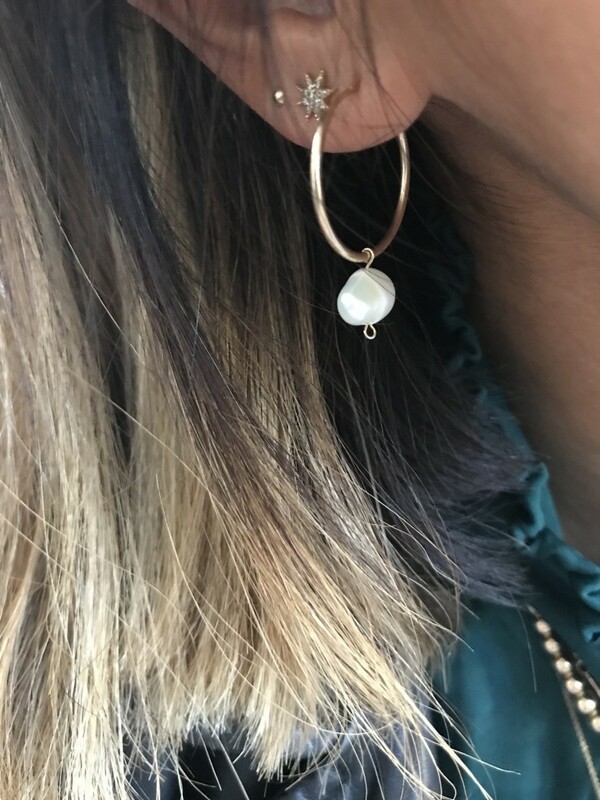 Pearls… in particular fresh-water pearls have been popping up all over the place, and now that they’re available in H&M (albeit the faux-pearl variety,) I’d say it’s official: they will be e.v.e.r.y.w.h.e.r.e. this summer. When I say ‘I bought,’ what I mean of course is that I ordered myself, for myself, for Le Husband to wrap and give to me on Christmas Day. 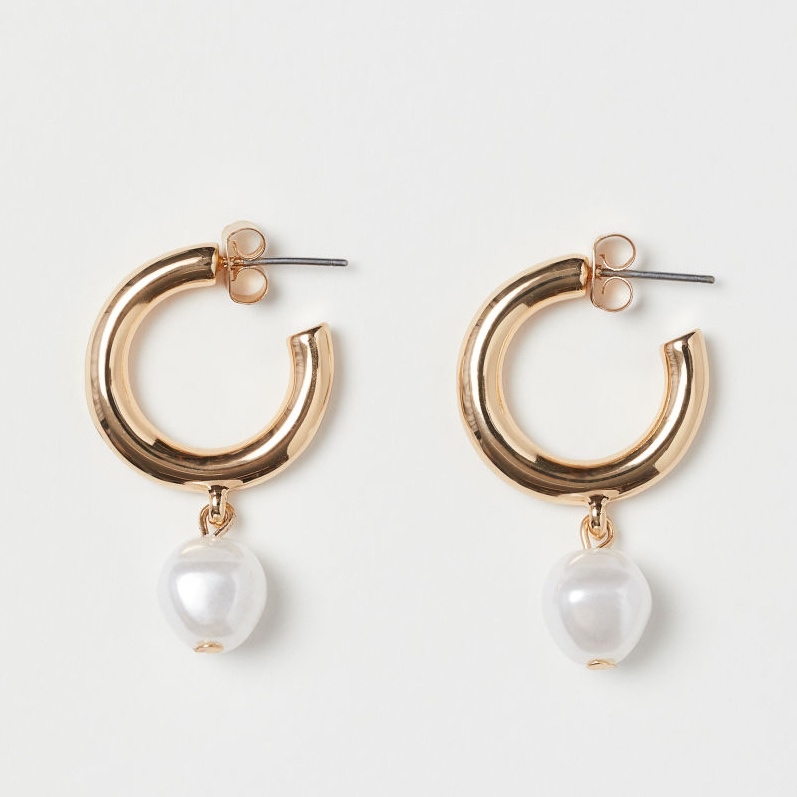 They’re called Baroque Hoop Earrings (£68) if you’re interested. I popped into town on Thursday… in what felt like the first time in over a month. Anyway, I spotted a lovely rust brown beret in New Look, popped it on my tiny rice crispy head and… it was a good fit. I checked the price (£8) which I thought was reasonable and decided to make it my cheap treat. After all, my black Accessorize Beret is about 20 years old and still going strong, so I figured I’d get my money’s worth. When the sales assistant rang it through the till, she asked for £2.50. My eyes may have popped out a little. I asked if she could wait so I could run back and get another in red, and she kindly obliged. So I picked up two Beret’s for a fiver. I can’t see any Beret’s online which are reduced *that* much, but they are down to between £3 – £4. 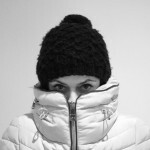 And unlike a thicker, beanie style woolly hat, Beret’s will work through the earlier, chillier part of Spring. The new-in, Zara Special Prices section is always worth a gander. I’m liking the idea of this higher neck tee, it’s very ‘me’, and would work really well as a base layer or as a stand-alone top. It’s also available in Black. 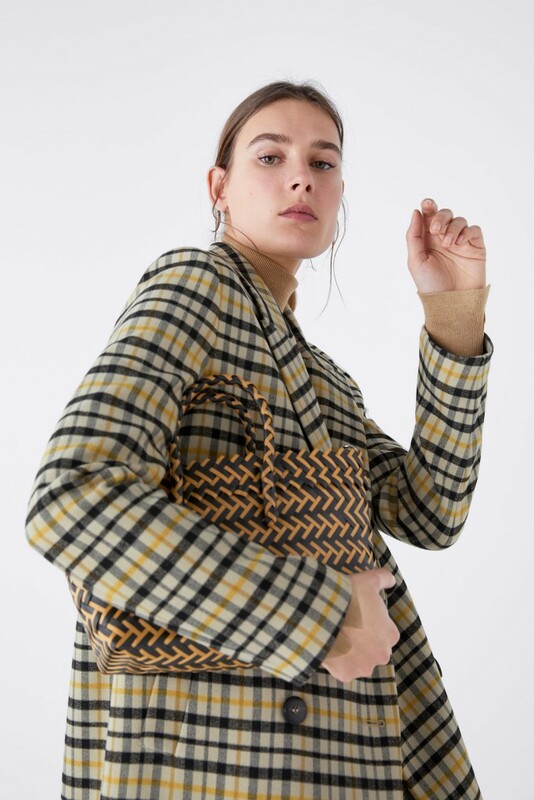 Cute basket bag… polyurethane woven basket… but it’s looks like a cute size and has a cross-body strap. Loving the print clash here! 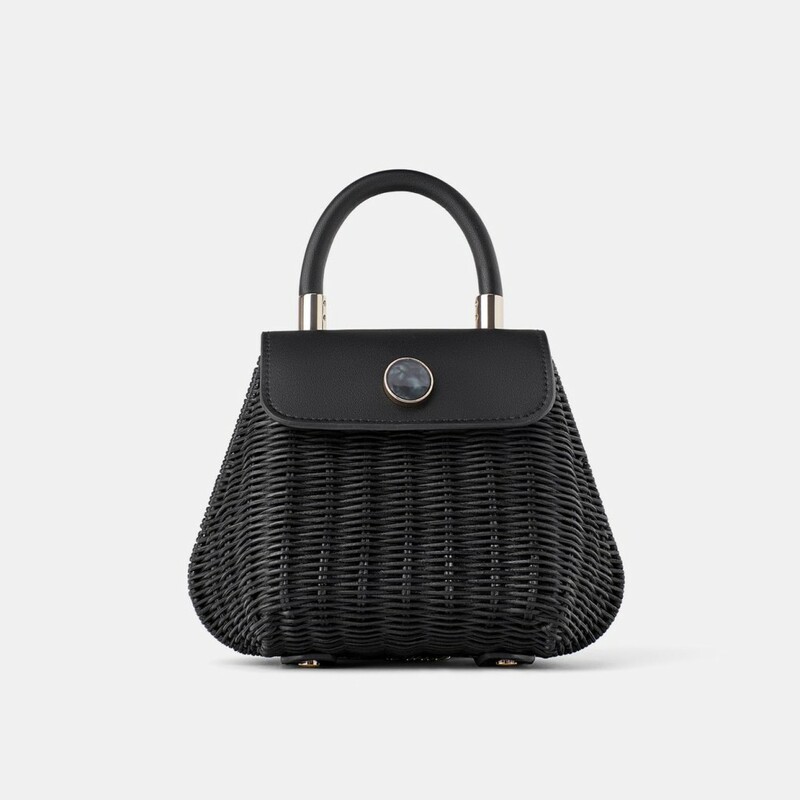 Given how much I use baskets in Spring/Summer… this is one I am definitely considering. … it’ll keep us ladies of a certain age from over heating, but it won’t crease to kingdom come. The top is also available in Khaki. 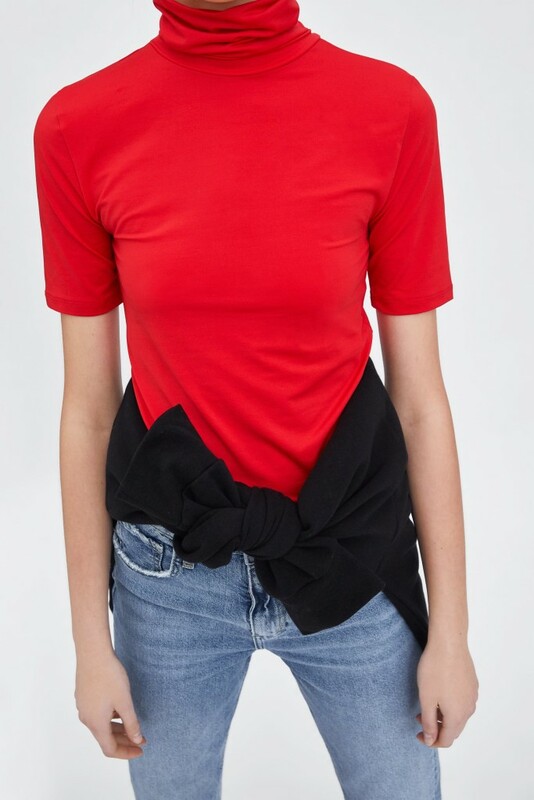 I won’t be buying this top of course: firstly, it’s M&S, so it’d be too wide/ill-fitting on me… their 6’s are more often than not, like 8’s and secondly, both colours are particularly pale (though not quite pastel) and would look totally yuck on me. So this is a turn up for the books… me, liking an actual animal print skirt enough to think about making a purchase. Here’s the thing about animal print: I do like the look of it, and often feel a little green-eyed about how well others pull it off. But just as florals aren’t my thing in reality, I do periodically like to order… just to ensure I’m not cutting my own nose off to spite my face. 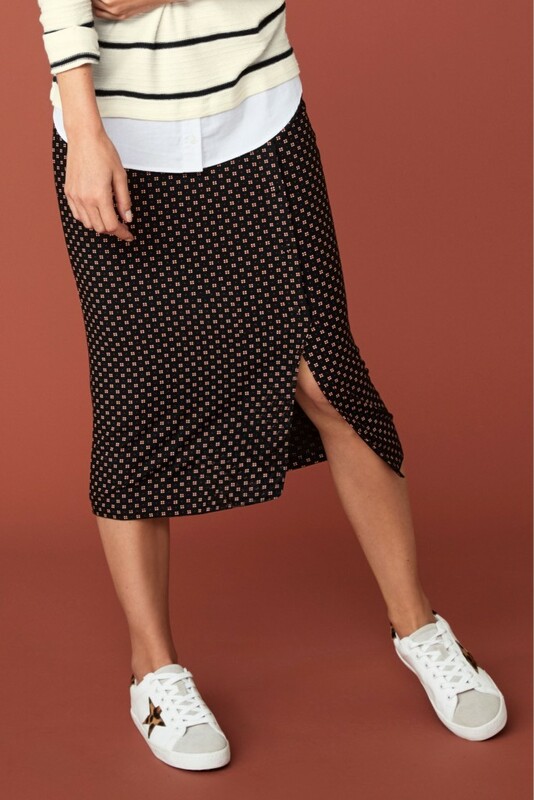 I like the richer brown tones of this particular animal print; the side button detailing and of course, although the skirt isn’t available in a shorter length, it would still work as a maxi-midi on us shorties. I haven’t ordered but it’s in my basket. First I tell you I can’t wear animal print… but here I am including two animal print pieces in a row! 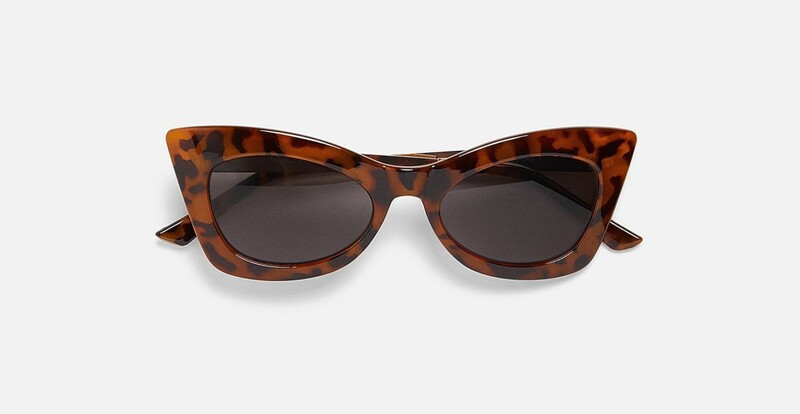 These sunnies are more tortoiseshell though, right? And weird as it may seem, I’ve never really thought of that as animal print. … if you have a Primark near you, you could probably pick up half-a-dozen similar pairs for the price. My nearest Primark is the best part of a two hour round trip… so ordering from Zara would be cheaper than my petrol/parking costs. This week, there’s no Stinker or Wildcard, as I’ve had an extraordinarily physically demanding (aka clearing out kids playroom, dump runs, charity shop runs, lofting things… basically, carrying and lugging heavy sh!t…) and I am beat. Instead, you’re getting three Beany-Bonuses! Plus, I haven’t featured a good old wide-leg-crop in aaaages?! Love the dark Khaki colour for summer, although you could wear these now. I’d go with tights or knee high socks underneath and loafers/hikers with a lovely slouchy knit or hoodie. 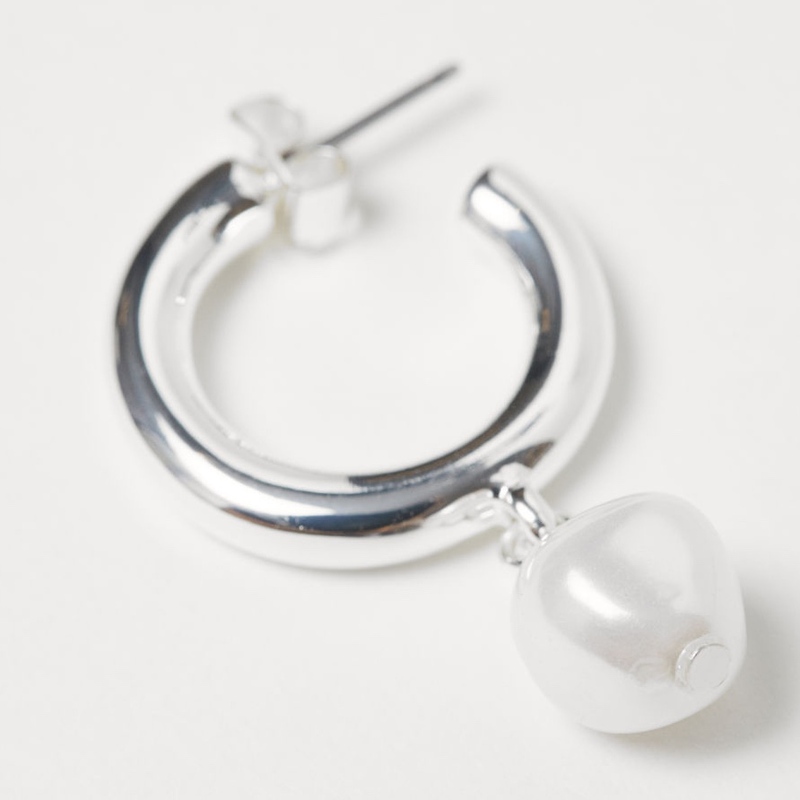 Another very ‘me’ piece… perfectly summery, a little minimal with just a touch of interest. This polo shirt would look completely wonderful with plain, simple tailored bottoms: whether an A-line midi, pencil skirt or ankle grazers. Add a pair of simple flat white pumps or slings, and one of this season’s cutesy little ‘box’ bags, and you’re sorted. 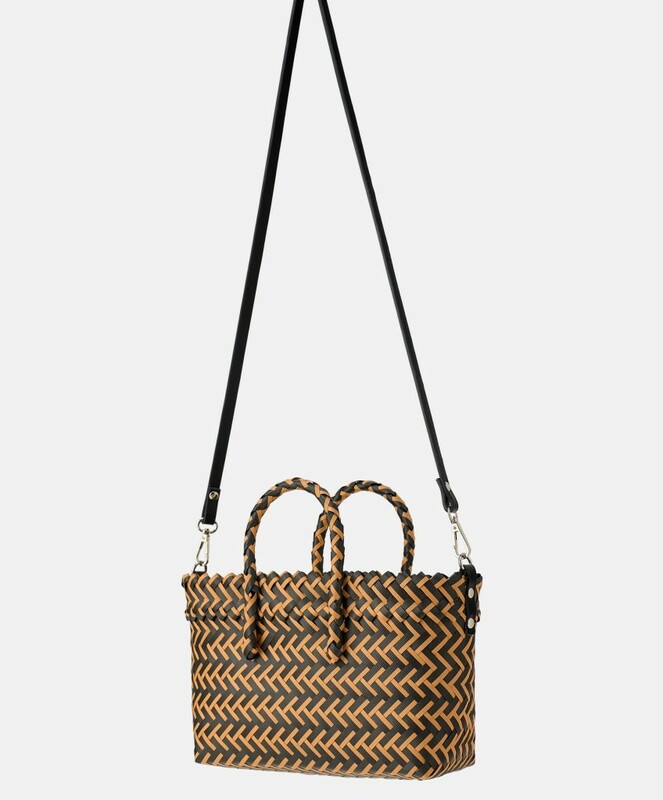 Okay, it’s not a box bag, but this cute raffia number from Zara, has more than a little of the way-more-expensive Wicker Wings about it. Apologies to those of you who were looking forward to my Stinker / Wildcard features… they will return next week! … which means I may well be painting and wallpaper for the whole week. Thanks for reading, would love to hear your thoughts on this week’s cheap pick-me ups: leave a comment and I’ll get back to you! 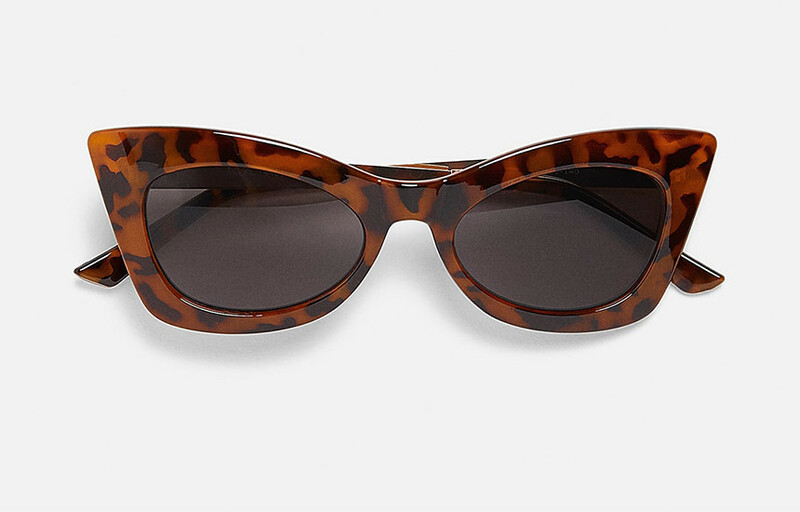 I love the sunnies and they’re cheaper than a similar pair I was eyeing up (but not committing to based on the price point) in H&M. As for tortoiseshell, it feels more ‘pattern’ than ‘animal print’ to me, but I’d never thought of it until now! I always buy cheaper sunnies – I’ve only ever had two pricey ray bans both of which got damaged (I sat on them) within a month or so! Hey Tracey! thanks for popping over! 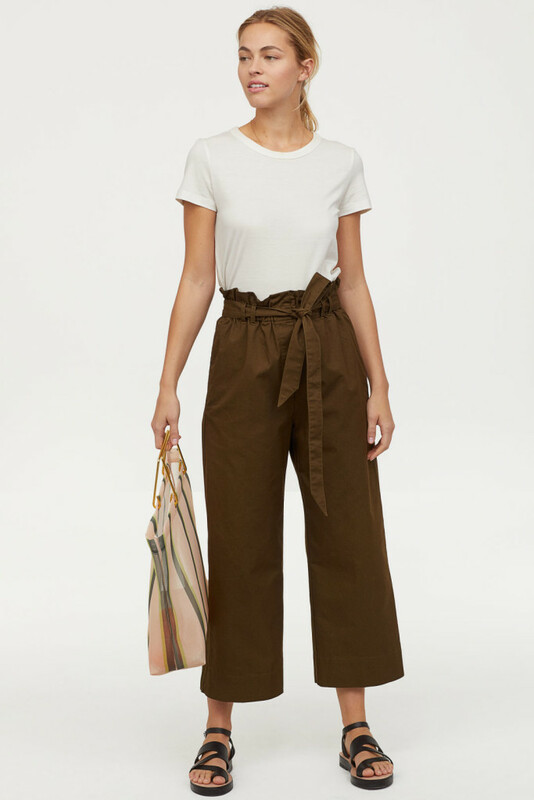 I struggle with length of trousers… as you know, but I like rolled hem! Oooh Peonies! Can’t wait for spring!